It was back to task this morning, as we ran the climbers through an abbreviated series of testing. This was also most likely the final round of physical testing that the climbers will go through before heading to the summit. 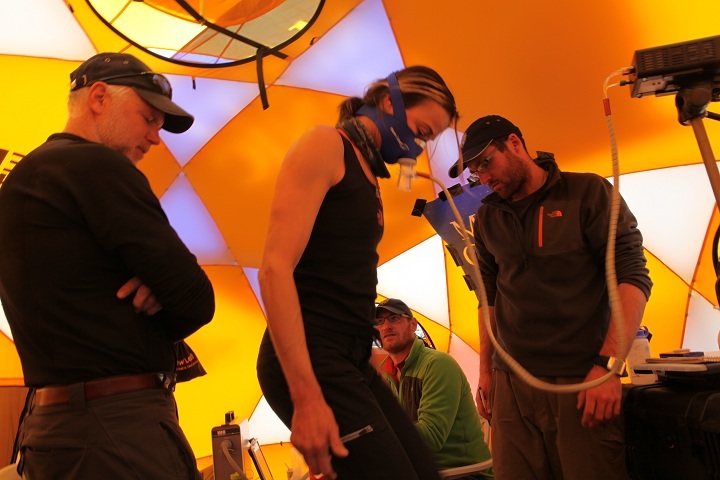 In the picture below, Hilaree O'Neill completes her exercise test as Dr. Bruce Johnson, Dr. Bryan Taylor and Alex Kasak monitor her progress.